If you’re looking to give a gift that will dazzle her this Valentine’s Day, look no further. 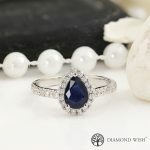 Whether you’re thinking of proposing this Valentine’s Day or are simply looking to gift her a gorgeous new piece of jewelry, we have the perfect piece for you. 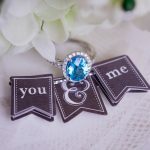 Read on to discover all our top fine jewelry picks in our Valentine’s Day fine jewelry gift guide! Valentine’s Day Sale Alert! Keep reading to the end of this post to learn how you can take advantage of our limited time 20-40% off sale! Valentine’s Day is the perfect time to propose. If you’re thinking of popping the question on the most romantic day of the year, we’ve selected some of our top picks to propose with this Valentine’s Day. The lush red ruby has long been associated with romance, passion, and devotion, making ruby engagement rings incredibly romantic. And not only are rubies beautiful, they’re also unique. So, if you’re looking for a distinctive, eye-catching engagement ring this Valentine’s Day, a ruby engagement ring is the perfect choice. 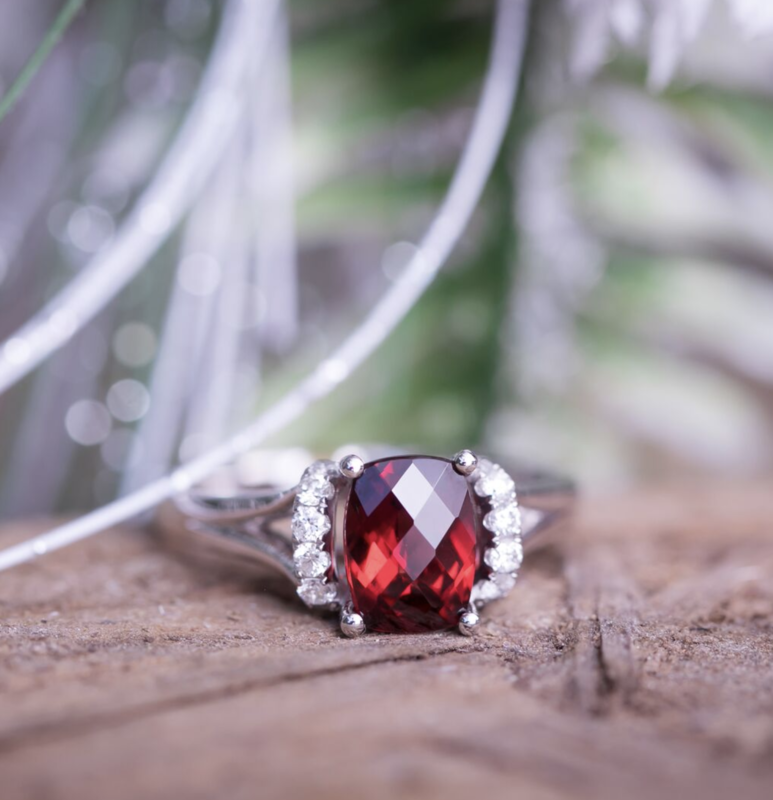 The ruby engagement ring pictured above shows just how gorgeous and glamorous a ruby engagement ring can be. This ring features a stunning cushion shaped rose cut ruby, which is flanked by two shimmering rows of pear shaped accent diamonds. These dazzling gemstones rest atop a sleek, rounded split shank band, which perfectly balances the sizable beauty of the featured ruby. 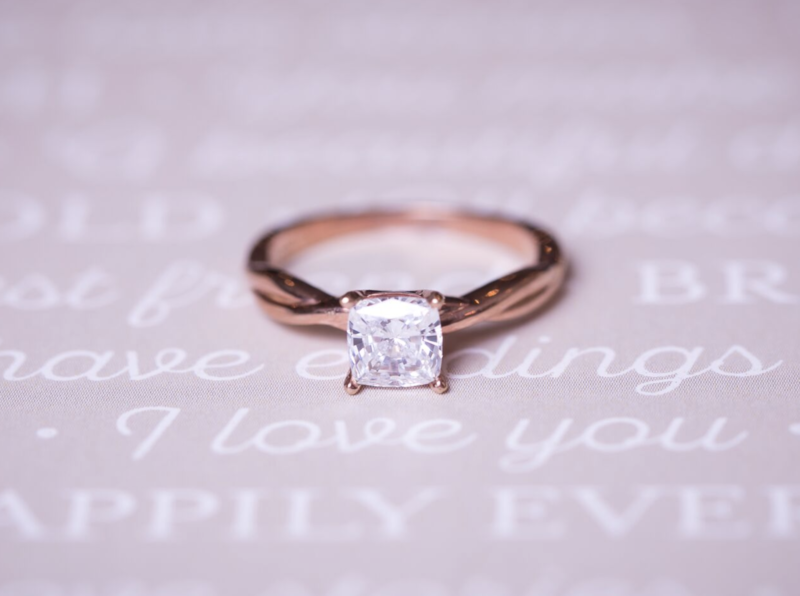 Rose gold is another romantic option for your Valentine’s Day proposal. And rose gold engagement rings are trending at the moment, thanks to their elegant vintage-inspired appeal. 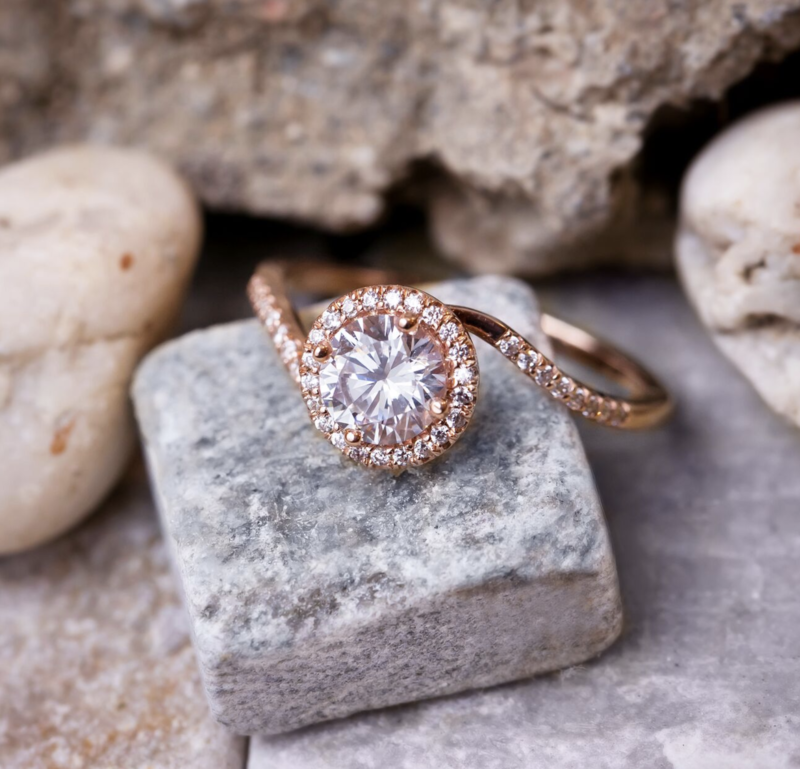 Rose gold looks lovely when used in both simple solitaire designs and more detailed, glamorous designs. 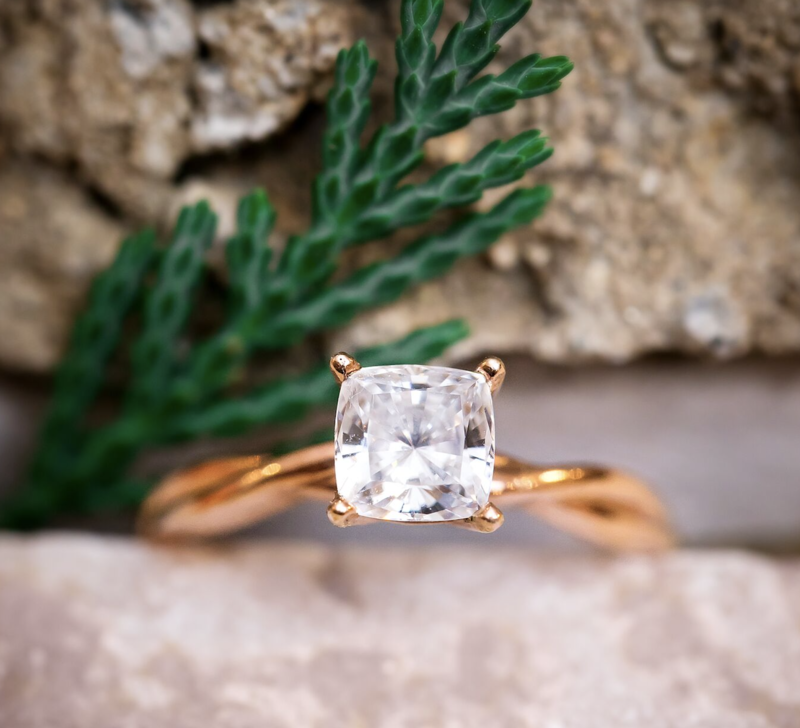 You can see an example of a stunning rose gold solitaire in the Elise Rose Gold Engagement Ring, pictured above. In this design, a beautifully white cushion cut diamond dazzles against the ring’s elegant, twisted rose gold band. 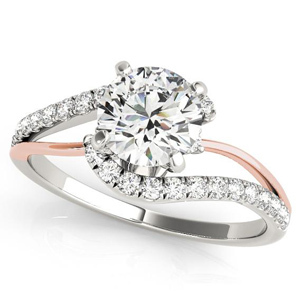 The Ariel Diamond Engagement Ring shows that rose gold also looks gorgeous when used in more intricate designs. This unique engagement ring features a diamond set, swirling rose gold band. 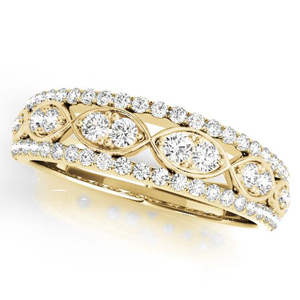 This modern band winds beautifully to surround a mesmerizing, glamorous halo set round diamond. 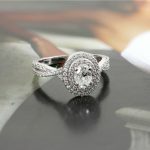 This ring is eye-catching, brilliant, and romantic. If you’re thinking of proposing this Valentine’s Day, try making your proposal even more memorable by surprising her. Valentine’s Day is one of the most popular days of the year to propose, so catch her off guard by proposing at an unexpected time (meaning, basically any time that’s not at a nice dinner out). You can propose first thing in the morning or before you head out to dinner. Then, you can bask in the glow of your new engagement for the rest of the day or evening! If you’re already married, an excellent (and incredibly thoughtful) gift idea is to update her wedding band. Gifting her a new wedding band is a simple way to add new life to her engagement set. 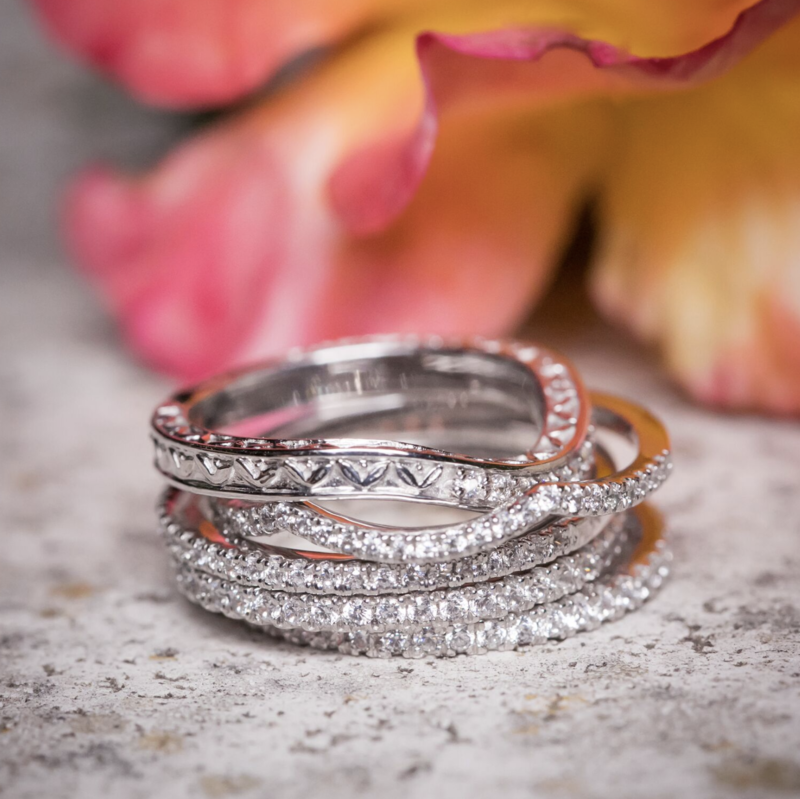 At Diamond Wish, we have a wide array of stunning wedding bands to suit any style and complement any engagement ring. If she loves the vintage look, try gifting her a new wedding band that features delicate engravings, like the one at the top of the gorgeous stack pictured above. Or if she loves glamour, consider gifting her a diamond set band (or even two!) that will up the brilliance of her engagement set. If you’re not quite ready to propose this Valentine’s Day, you can still set her heart on fire with a new piece of luxe, timeless fine jewelry. Let’s take a look at a couple of can’t-go-wrong pieces that are sure to wow your sweetheart. These stunning halo set diamond studs offer a glamorous take on the classic diamond stud. 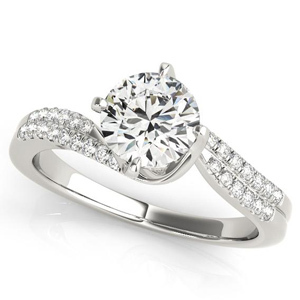 This design features two dazzling round brilliant diamonds, enclosed in gorgeous halo settings. 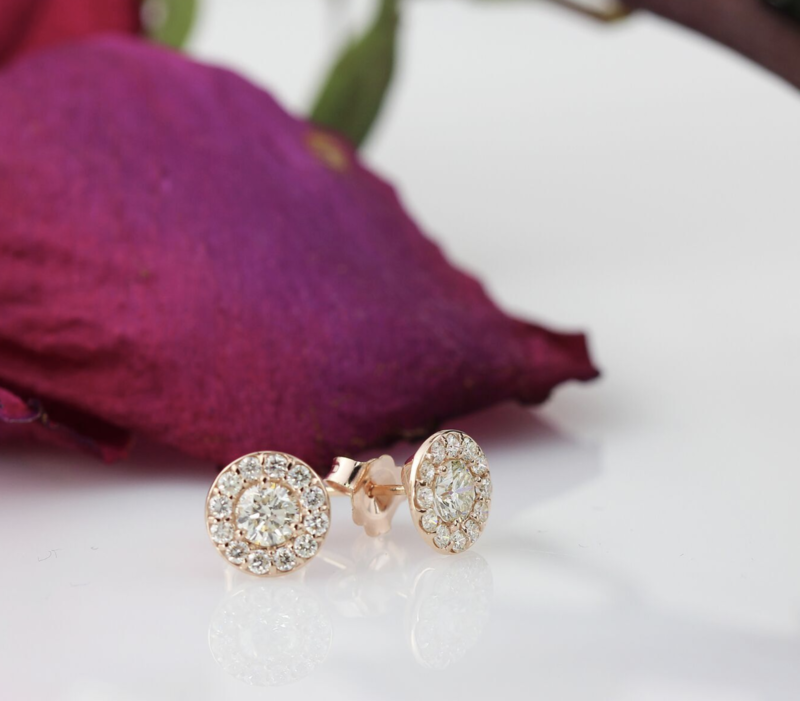 These studs are crafted from lush 14k rose gold, which adds a warm, romantic touch to these beautiful earrings. A diamond tennis bracelet is something she’ll treasure for a lifetime. The tennis bracelet featured here boasts three total carats of shimmering round brilliant diamonds, which rest in chic three prong settings crafted from white gold. 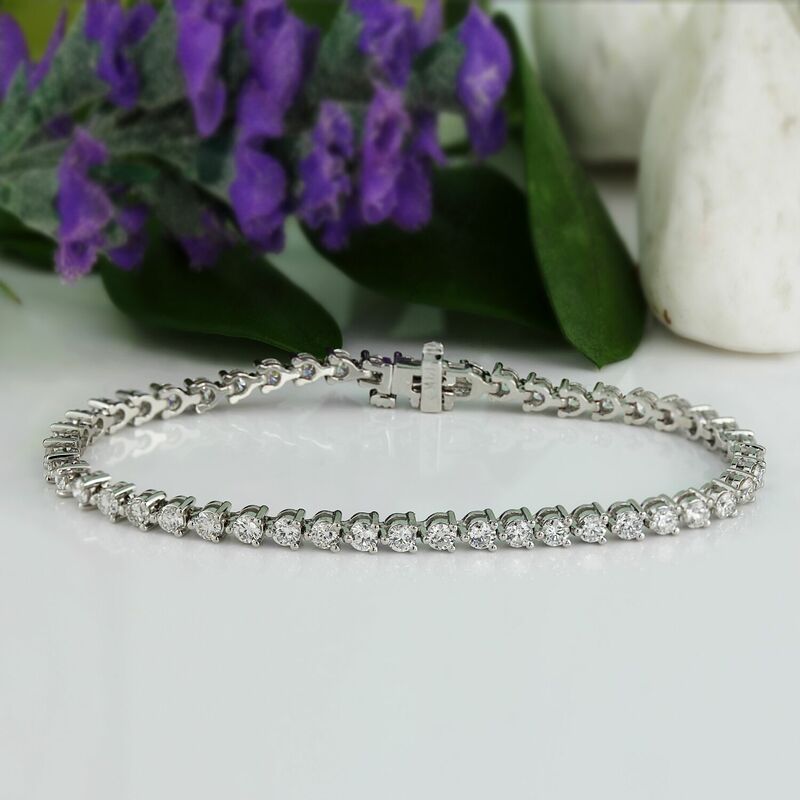 This tennis bracelet is the ultimate classic; it’s something any woman would be thrilled to add to her collection. Take advantage of our limited time Valentine’s Day Sale! All of our fine jewelry is currently 20% off! 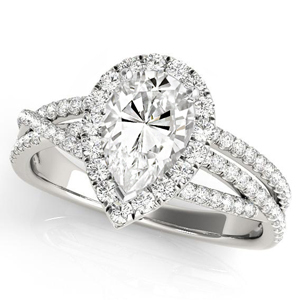 (Our site wide sale excludes only our loose GIA and EGL certified diamonds.) 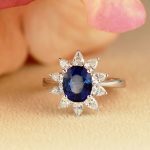 And, right now, we also have a Valentine’s Day Specials page, where we’re offering 40% off some of our most romantic fine jewelry pieces.